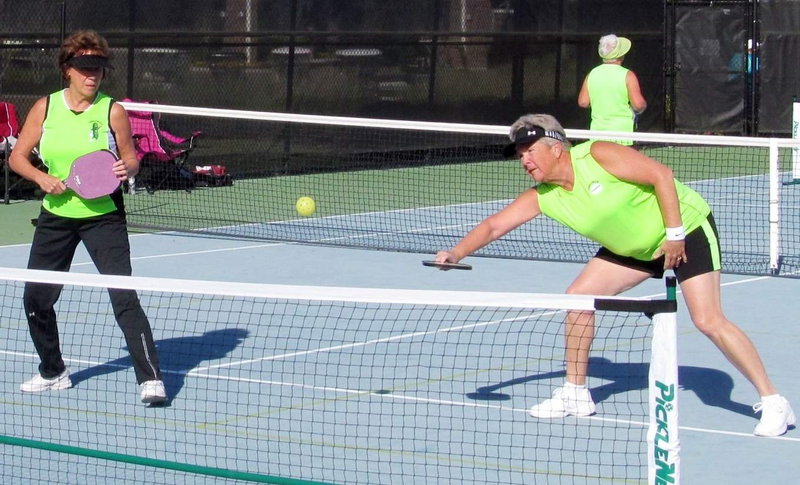 This weekend, Tanglewood will have an influx of players from clubs throughout South Central Florida competing in doubles pickleball for the Tanglewood Winter Classic. Today there will be 125 men will be competing. The players are grouped by age and those age categories vary according to the players’ skill levels. Partners must play in the age category of the younger player. While a number of players are making a bit of a commute to compete in the tournament, many of the players are local or have local ties, such as Mickey Dorman, who competes for Highlands Ridge during the SCFPL season. Dorman is from Pennsylvania where he serves as an ambassador for the the USAPA (USA Pickleball Association). As an ambassador, it is his job to help promote the sport. Dormanhas been playing for five years. He played on the Riverbend-LaBelle team for four years, two as team captain. His move this year to Highlands Ridge was a real boost for the local team. Dorman raced off-road motorcycles for 30 years and won a few national races.